Jalan West hit a fallaway three from the right wing at the buzzer to give Northwestern State an 87-84 win at Lakefront Arena Saturday night. The Demons erased a 21-point second half deficit, barrelling past a tentative Privateer team that did not have an answer for their offensive firepower down the stretch. 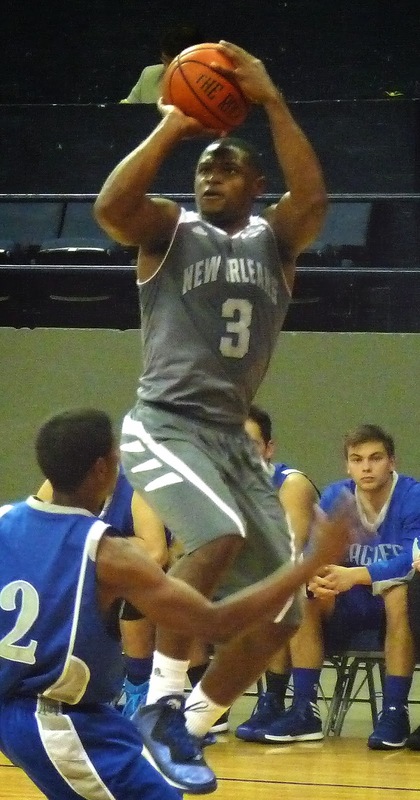 New Orleans was led by Nate Frye's 22. Christavious Gill added 15.